Does anyone know what is causing this? It never showed up in any of my simulations with LTSpice. 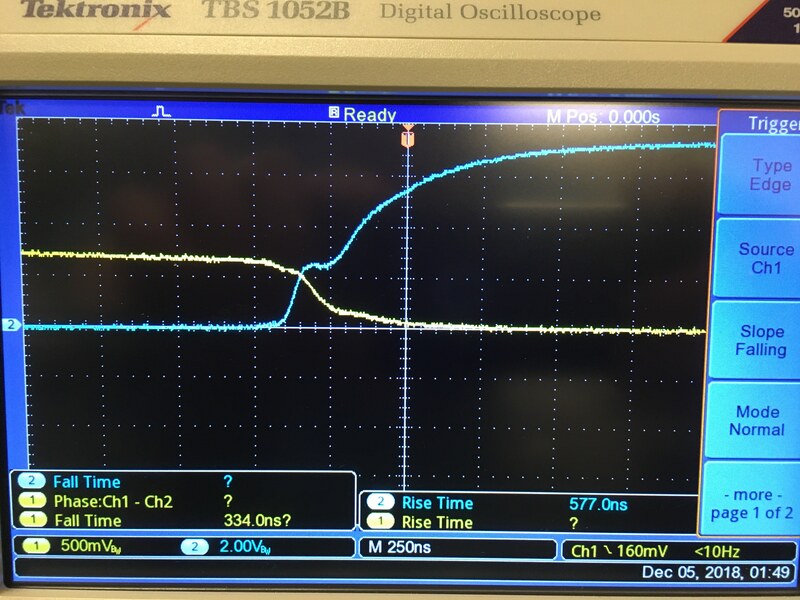 I've played around with including a BAT54 Schottky diode between base and collector to prevent saturation, but the odd plateau remains. That's mostly the effect of Ccb. The collector-base capacitance. During the transition region Q1 is acting as an amplifier and the quick rise of the collector biases the base through Ccb. This slows down the transition until Ccb is sufficiently charged. Although some call this the Miller effect as this plateau can be seen a consequence of the Miller effect as captured in the Miller theorem. 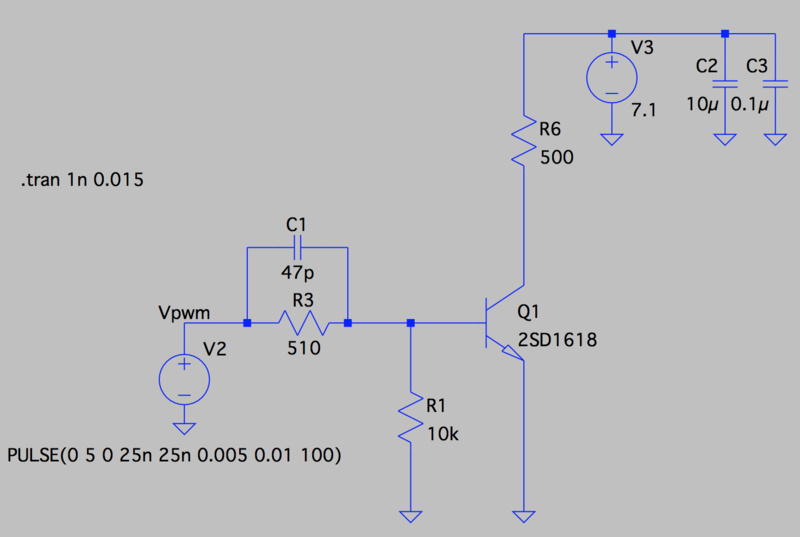 The Miller effect refers to linear systems and it only applies to the narrow window during which the transistor is acting as an amplifier, this allows for circuit simplifications. It says nothing about switching systems entering and leaving such linear region, although it contributes somewhat to their understanding and problem mitigation. Not the answer you're looking for? Browse other questions tagged pwm bjt or ask your own question. BJT : Why is collecter called collector and emitter called emitter?